Gerald Cunningham (National Sales Manager Northern Ireland and the Republic of Ireland) and Graham Tighe (Technical Adviser Northern Ireland and the Republic of Ireland) held a workshop with IREKS products at the TU Dublin. We explained how our products work, spoke about the areas of application and highlighted the differences in quantities of addition. 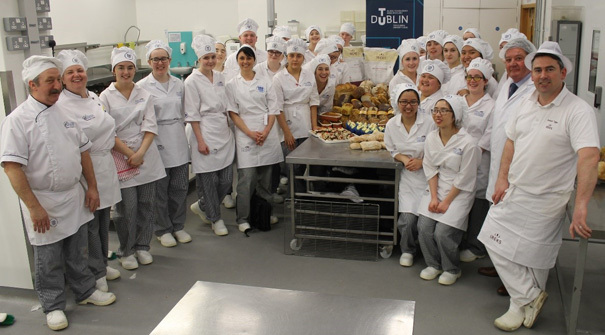 Thank you for the amazing day in Dublin and wishing lots of success to all the students in their upcoming careers as bakers!